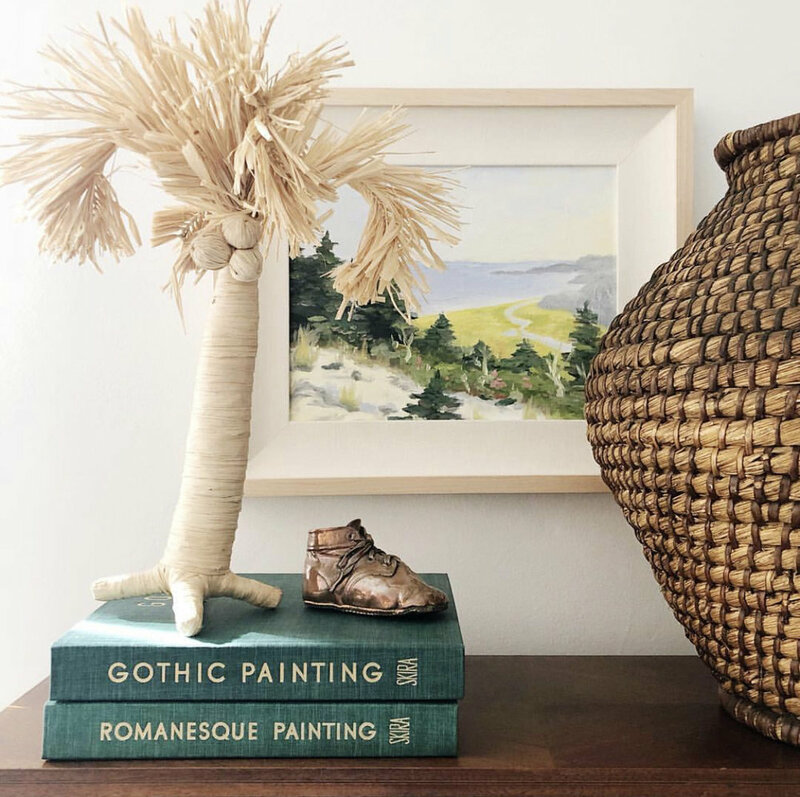 Get The Look: #clientdrinkingpinotgreige — Trim Design Co.
Time for the next installment of Get The Look, where we show you how to bring one of our designs home with you! This week we’re breaking down the living room rendering that earned the largest number of your votes. And there’s a lot to love about this soothing design! Vintage stoneware, the moody paintings of Tonalism, and muted tones of greige and moss were sources of inspiration for this project. The photograph above the couch in the shoppable moodboard is from Unsplash, a really great resource for free downloadable art from independent photographers. You can read more about it in this gallery wall blog post. We gave you two options for the cane cabinet because the Industry West piece is fairly expensive and we wanted to include a more affordable option.